Floaters are little “cobwebs” or specks that float about in your field of vision. They are small, dark, shadowy shapes that can look like spots, thread-like strands, or squiggly lines. They move as your eyes move and seem to dart away when you try to look at them directly. They do not follow your eye movements precisely and usually drift when your eyes stop moving. Most people have floaters and learn to ignore them. They are usually not noticed until they become numerous or more prominent. Floaters can become apparent when looking at something bright, such as white paper or a blue sky. When the vitreous gel rubs or pulls on the retina, you may see what looks like flashing lights or lightning streaks. You may have experienced this same sensation if you have ever been hit in the eye and seen ‘stars’. The flashes of light can appear on and off for several weeks or months. As we grow older, it is more common to experience flashes. If you notice the sudden appearance of light flashes, you should contact your ophthalmologist immediately. We worry that the retina may have been torn. Light flashes can also be caused by an ophthalmic migraine, a specific type of migraine. This can occur even without symptoms of a headache. If you experience a sudden increase in floaters, flashes of light in your peripheral vision, or a loss of your peripheral vision, you should have your ophthalmologist examine your eyes as soon as possible. Floaters occur as a result of an ageing, shrinking vitreous humour (a gel-like substance that fills about 80% of the eye and helps it maintain a round shape). As the vitreous shrinks, it becomes somewhat stringy, and the strands can cast tiny shadows on the retina. These are floaters. In most cases, floaters are part of the natural ageing process and simply an annoyance. They can be distracting at first, but eventually tend to “settle” at the bottom of the eye, becoming less bothersome. Floaters are more likely to develop as we age and are more common in people who are very nearsighted, have diabetes, or who have had a cataract operation. Yes. Sometimes a section of the vitreous pulls the fine fibres away from the retina all at once, rather than gradually, causing many new floaters to appear suddenly. 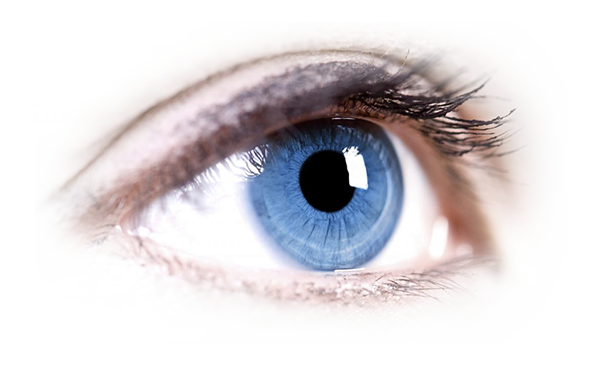 This is called a vitreous detachment, which in most cases is not sight-threatening and requires no treatment. A retinal detachment is a serious condition and should always be considered an emergency. If left untreated, it can lead to permanent visual impairment within two or three days or even blindness in the eye. Those who experience a sudden increase in floaters, flashes of light in peripheral vision, or a loss of peripheral vision should have an eye care professional examine their eyes as soon as possible. Other serious causes of floaters include infection, inflammation (uveitis), haemorrhaging, retinal tears, and injury to the eye. What are the current treatment options for floaters and flashes? For people who have floaters that are simply annoying, no treatment is recommended. On rare occasions, floaters can be so dense and numerous that they significantly affect vision. In these cases, a vitrectomy, a surgical procedure that removes floaters from the vitreous, may be needed. A vitrectomy removes the vitreous gel, along with its floating debris from the eye. The vitreous is replaced with a salt solution. You will not notice any change between the salt solution and the original vitreous because the vitreous is mostly water. This operation carries significant risks to sight because of possible complications, which include retinal detachment, retinal tears, and cataract. Most eye surgeons are reluctant to recommend this surgery unless the floaters seriously interfere with vision.